This is the Ultimate Climb & Slide! Description: 22′ High x 28′ Long x 18′ Wide. 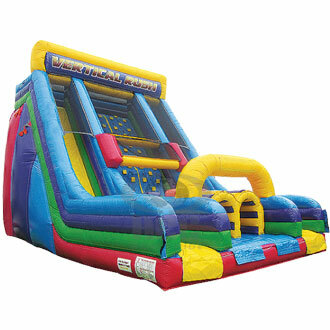 Our new vertical rush obstacle slide has a high climbing area that is 22ft high. to book or get a quote click on the get quote/book now button.